DES MOINES, IA - The Round Rock Express (64-73) handed the Iowa Cubs (50-87) a 6-5 loss in 10 innings to open the final series of 2018, Friday at Principal Park. After a scoreless first three frames, the Express exploded for a four-run fourth as the first five batters of the inning reached. The brigade included back-to-back homers from Tommy Joseph and Andy Ibanez. Prior to the inning, starter Kyle Ryan had not allowed a hit, but had walked five. His night ended with four earned runs allowed through 3.2 innings. Iowa cracked the scoreboard in the bottom of the fourth on a solo shot from Jason Vosler - his Cubs organization-leading 23rd of the season. One inning later, Jacob Hannemann got the offense going with a leadoff double. Erick Castillo, added to the roster today, walked to put two on, before a Chris Coghlan double cleared the bases. Mark Zagunis punctuated the effort with an RBI single to lock the game 4-4. Round Rock re-took the edge in seventh with singles from Christian Lopes and Joseph, before Iowa locked the game, once again, on a Coghlan solo shot in the ninth to force extras. Coghlan finished the game 2-for-5 with two runs and two RBI. The Express would take advantage of the free baserunner in the 10th to secure the ultimate edge. Brian Duensing walked one and gave up one hit through a scoreless inning in his fourth rehab appearance. 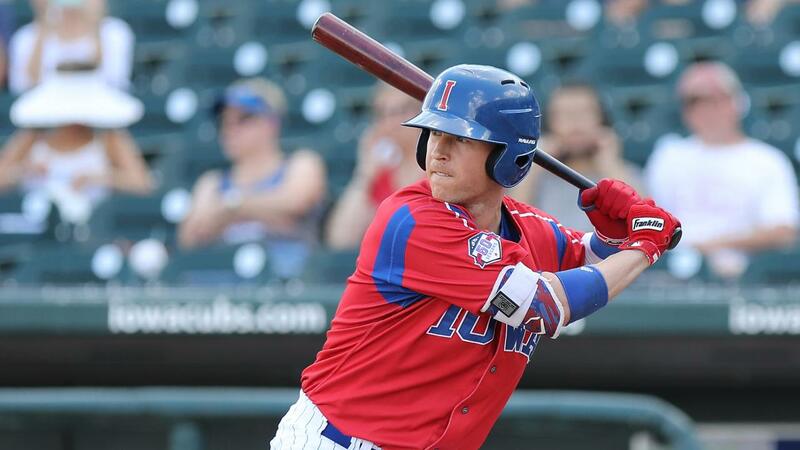 Danny Hultzen made his I-Cubs debut as part of the relief effort, allowing one run through 1.0 inning. Iowa tied its season high with seven pitchers used in the game, while walking a season high nine batters. Iowa and Round Rock clash again tomorrow at 7:08 p.m. with promotions including the final Fan Pre-Game Catch on the Field of the season at Principal Park. RHP Tyler Chatwood is scheduled to make his second rehab start for the I-Cubs. For more information or tickets, visit www.iowacubs.com.